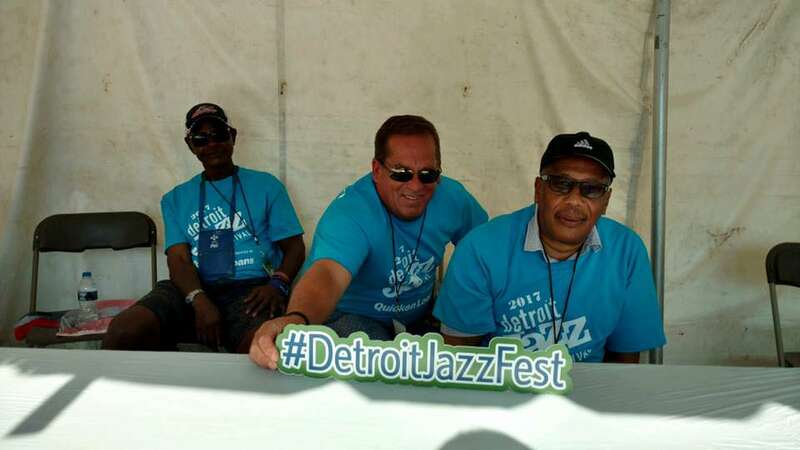 For nearly 40 years, the Detroit Jazz Festival Foundation has celebrated Detroit’s rich history of jazz music by providing year-round concerts and educational programming, and of course, organizing the world’s largest free jazz festival over Labor Day weekend. 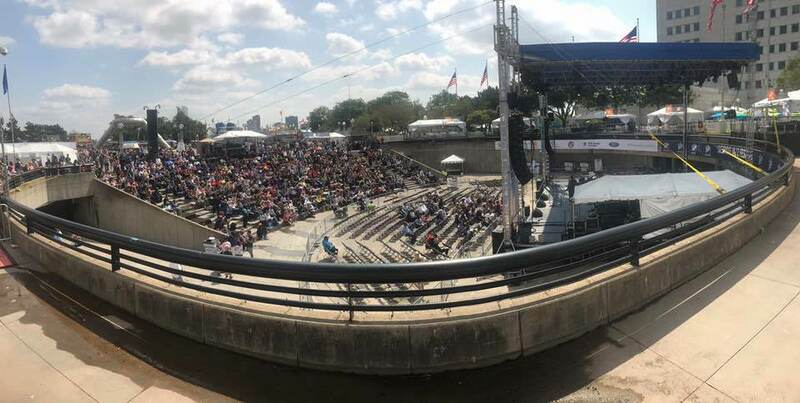 With the support of corporate sponsors, philanthropic organizations, individual donors and volunteers, the Detroit Jazz Festival is free to music fans looking to revel in the artistry and improvisation of jazz legends, rising stars, legacy and homecoming artists. Each year’s lineup of more than 60 performances spanning multiple stages, as well as spontaneous late-night jam sessions, offers something for everyone. Our year-round educational programming creates one-of-a-kind opportunities for regional students and aspiring musicians to help them achieve artistic excellence, while our concerts celebrate the works of students and mentors, in addition to local and national artists. Given such a large number of guests and musicians in attendance, proper management of waste was a necessity and through the hard work of those involved in organizing the event, thousands of pounds of waste were collected and diverted responsibly. In addition to the overall goal of sharing and listening to jazz and attending a variety of educational sessions, the organizers’ objective was threefold when it came to waste: incorporate jazz festival volunteers in a green ambassador program, use food waste to increase recycling numbers, and educate the public on waste and where it goes. The success rate of these objectives was measured by the volume of material collected and compared to 2016 as well as the educational data collected. 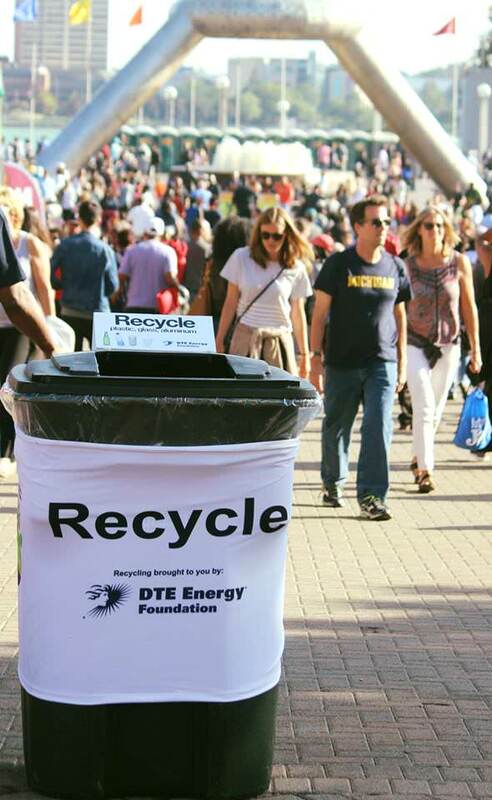 The final collection numbers tallied include 27,240 pounds of trash, 1,242 pounds of plastic recycled, 2,040 pounds of cardboard recycled, and an overall significant reduction of the environmental impact in the downtown Detroit and surrounding areas. According to the DJF, in these last six years “the greening program has saved 169 cubic yards of landfill space” which is the equivalent to the space 35.5 Steinway Grand Pianos would take up! Schupan Events Recycling of Kalamazoo, Michigan served as a sustainability partner for the event for the sixth year and is hopeful for the partnership to continue going forward as the festival and its staff become even more acclimated to the recycling and composting process. 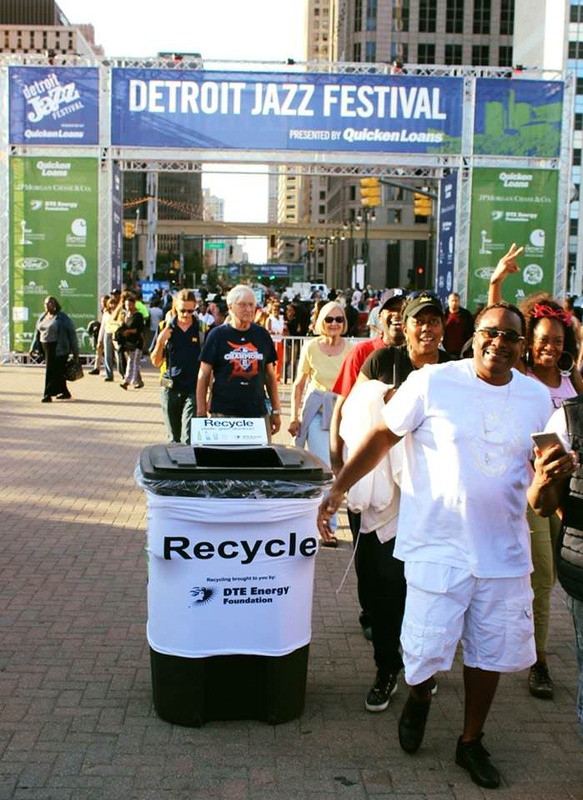 “Schupan does an outstanding job meeting and exceeding the monumental task of waste diversion for the Detroit Jazz Festival,” said Sam Fotias, Event Producer. “Their meticulous planning and attention to detail combined with their great on site team allows the operations team to concentrate fully on executing the event. They are an asset for any large event producer who is serious about their concern for the planet and doing their part to make an environmental impact." Overall, the festival did a commendable job meshing the collection of talented worldwide musicians with a responsibility of being as sustainable as possible. Though there were challenges with regards to the number of volunteers on hand and the education available to the staff, it’s hard not to envision the event diverting even more waste out of landfills going forward once these challenges are addressed. To learn more about the Detroit Jazz Festival, please click here. To learn more about Schupan Events Recycling, please click here.